With the low tide you can walk under the floating torii and take pictures like this one of Itsukushima shrine! 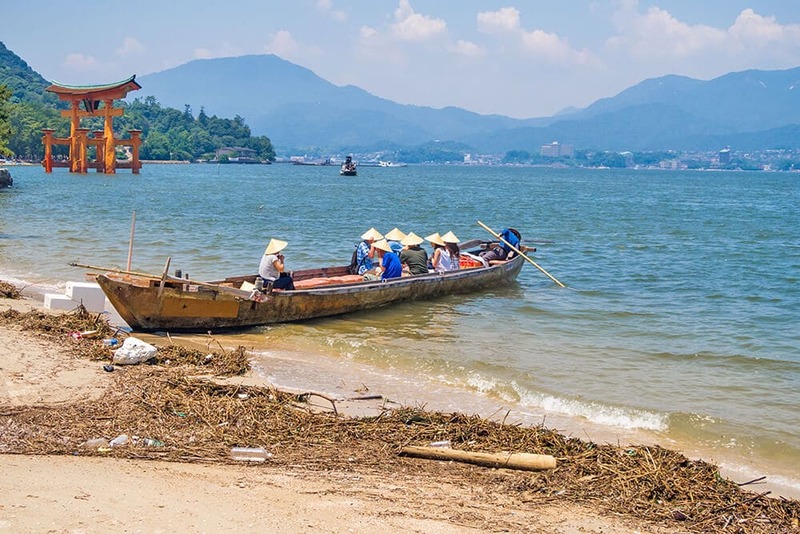 Many people plan only a day trip to Miyajima from Hiroshima, thinking that this tiny island off the coast of Japan only has one point of interest. 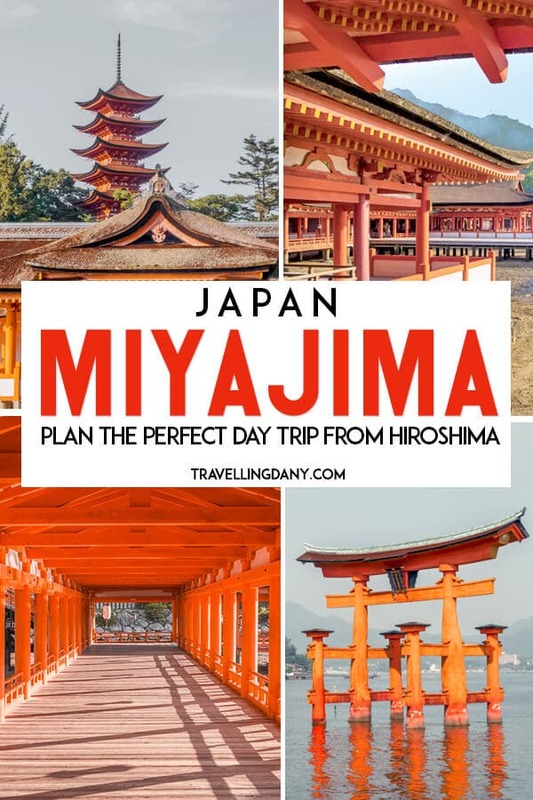 Yet while the floating torii at Itsukushima Shrine is an absolute must see, there are many more amazing things to do in Miyajima island that you shouldn’t miss. 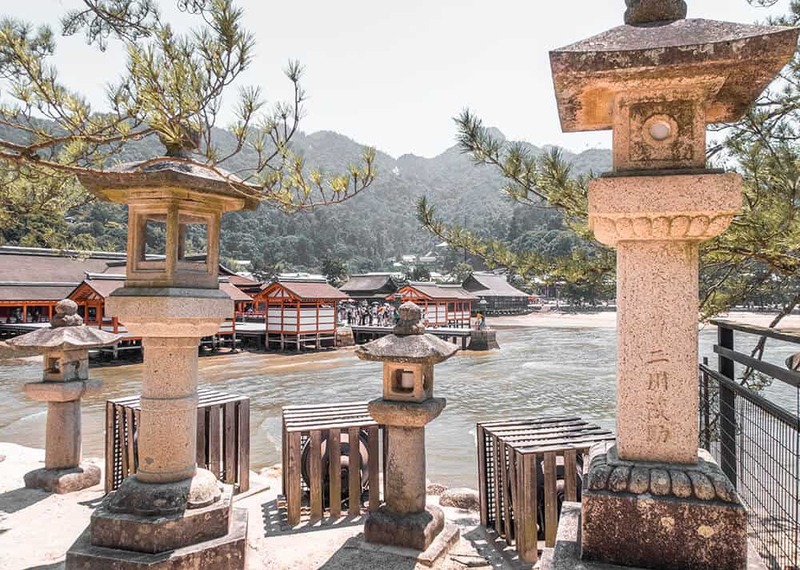 Whether you’re planning to stay just for a few hours or if you’re going to book an overnight stay, let us show you what to do in Miyajima and how to get there! Our fondest memory of Miyajima is the sunset (and night) spent taking pictures and talking about Japan with the locals! 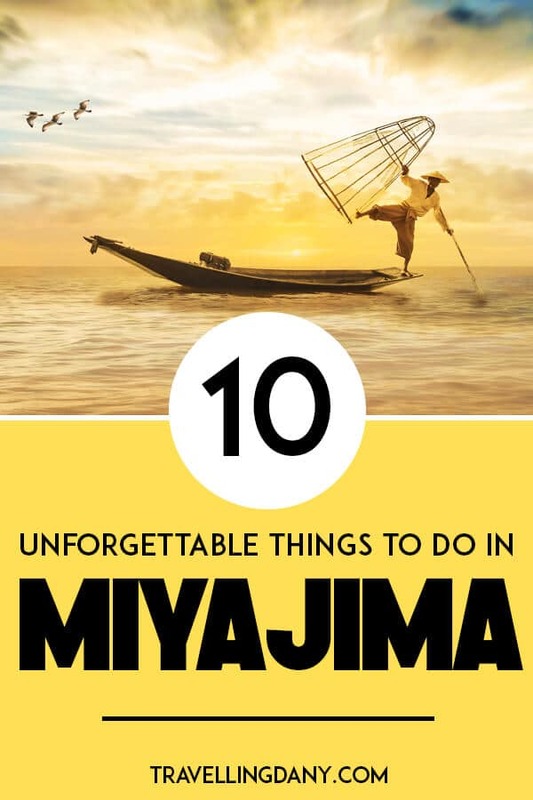 Just like many other travelers, when we were planning our trip to Japan we hadn’t really considered staying overnight to Miyajima. 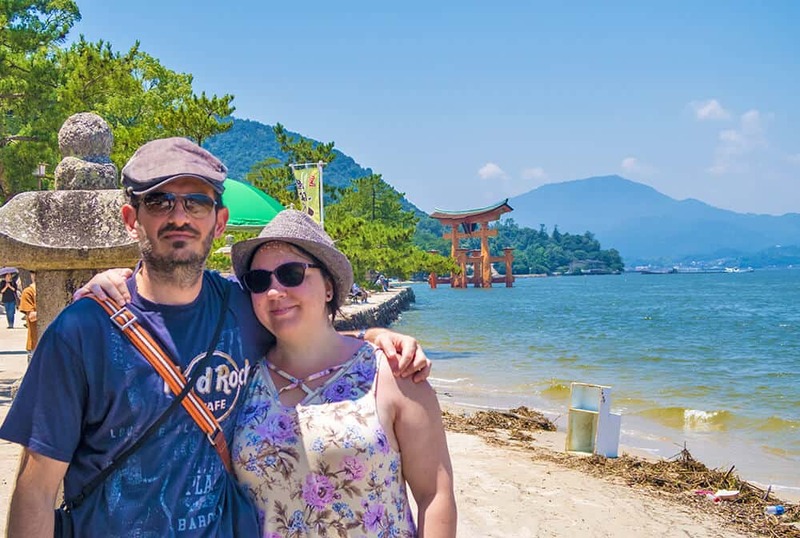 Only when we got to this tiny – and yet amazing – island we realized that the friend who told us to splurge by booking a ryokan in Miyajima was doing us a huge favour. Not only we spent one of the most romantic evenings in Japan, but we also got to know the locals, chatted with interesting people… and Aldo got to taste some delicious cold sake. Had we just left with all the other tourists to get back to Hiroshima, we would’ve missed out big time. The fact is that during the day this island can be definitely very crowded (especially in summer or spring when people visit Japan for the cherry blossoms). So much so that it’s even difficult to try and interact with the locals. But in the evening, everything changes. We fell in love with its narrow streets, we got to enjoy watching the Miyajima tide, and Al spent hours taking hundreds of pictures of the Itsukushima Shrine torii (also known as the “Miyajima torii“) at night. Should we return to Miyajima (and we certainly do hope so), we’re going to stay the night once again. If you intend to visit just to see the floating torii, it’s of course up to you. 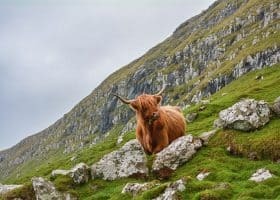 But we absolutely suggest you to book one night on this beautiful island, especially if you really want to get to know the “real” thing and to chat with the locals. Besides… there really are so many things to do in Miyajima island, that you’d risk rushing your visit otherwise! If you have time you can see the torii from the sea by buying a boat tour: they sell them on the beach in Miyajima! We easily got from Hiroshima to Miyajima by using the ferry. We didn’t even have to buy a ticket because it was covered by our Japan Rail Pass. There’s a train that will allow you to go from Hiroshima to Miyajimaguchi. The trip should take about 28 minutes. Once you get to the JR Miyajimaguchi station, you have to walk for about 5-6 minutes to the ferry boarding area. If you have a JRP you will only be asked to show it and then you can just hop on the ferry. I suggest you to sit on the top deck so you will be able to see the island and the Itsukushima shrine torii as you approach it. The trip to the Miyajima harbour takes about 10 minutes. If you are going from Osaka to Miyajima, the trip should take you about 2:30 hours. You’ll in fact have to take a train from Osaka station to Shin Osaka, and once you’re there you might get on a Nozomi shinkansen to Hiroshima station. Once you’re there, you will need to take the train to Miyajimaguchi station and walk to get the ferry to Miyajima. The trip from Kyoto to Miyajima will be more or less like the one from Osaka. From Kyoto station in fact you can hop onto a Nozomi shinkansen to Hiroshima station. Then you will need to take the train to Miyajimaguchi, and from there you can walk to the ferry boarding area. Even in this case the trip should take about 2:30 hours. Please consider spending the night in Miyajima if you’re going there from Osaka or Kyoto! We already met the (overly) friendly sika deer at Nara deer park, that we explored during our three days in Kyoto. While we’d heard that we’d find them also on Miyajima, we thought that the nickname “deer island” had been created to attract tourists. Yet as soon as we got off the Miyajima ferry from Hiroshima, we noticed that there were about a half dozen deer waiting for the new batch of tourists. Looking for food, no doubt. As we were walking to get to our ryokan, so we could leave our backpacks and start exploring, we weren’t really paying attention to the deer. That was until one of them decided to bite the Miyajima map I was holding in my hand. Missing my fingers by mere inches! I tried to hold on to it tight, but the rascal was strong and with one pull he just trotted away with his new trophy. A few locals tried to get him to leave the map, but there was no way he’d do that. We’d just arrived and a deer had already eaten our map, go figure! In Miyajima deer are everywhere, hence the “deer island” nickname. They are so used to get food from the tourists that even when you don’t want to give them any, they will try to find something they can steal. So while they are absolutely cute… be very careful as they are still wild, so they might bite or kick you. Also don’t be careless like me, or they could try to munch on your phone as well! I’ve been asked where to go to see the sika deer in Miyajima. Well don’t bother looking for them: they will come to you! Even at night we have seen them sleeping in the sand with the low tide or near the harbor so they don’t really get back to the forest at all. Al spent hours taking night pictures of the floating torii and chatting with local photographers: the best night ever! 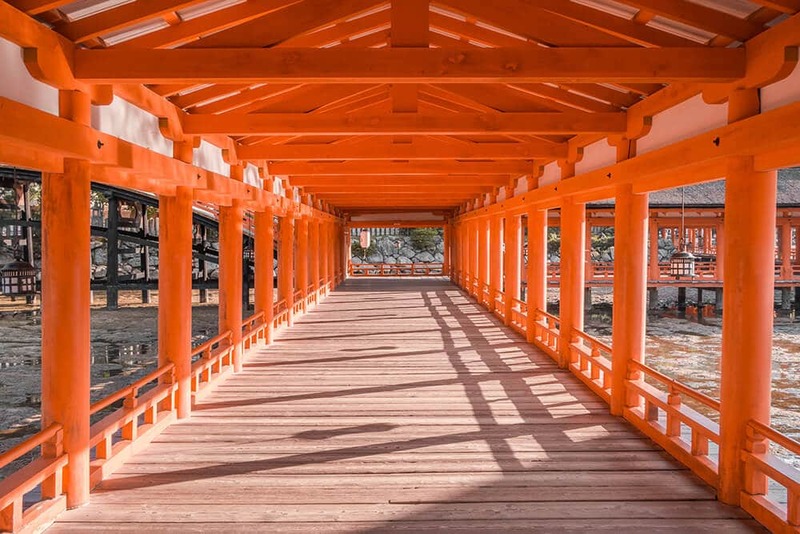 While in Japan we have visited a number of beautiful shrines, while visiting Tokyo and Kyoto (where we fell in love with the Fushimi Inari shrine). But we really wanted to visit the shrine with the floating torii we’d seen in countless movies, manga and anime. While we were on the ferry to Miyajima the captain explained (in English!) how so many people from all around the world visit the island just to see this shrine that, seen from the boat, looks like it’s floating on the sea. 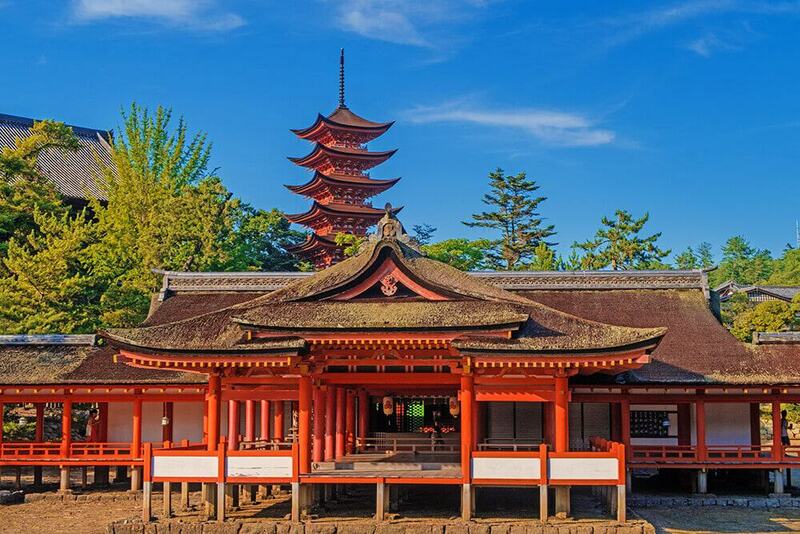 The Itsukushima shrine has more than 1400 years of history and it’s a registered World Heritage Site. You can easily walk there from the Miyajima ferry terminal: it will only take you about 10 minutes. The shrine usually opens every day at 6:30am and closes at 06:00pm from March to mid October. In January, February and from mid October and November it closes at 05:30pm and in December it closes at 05:00pm. There are no closing days and the admission ticket costs 300 yen. If you also want to visit the Treasure Hall (we didn’t), you can buy a combined ticket for 500 yen. Because it tends to be quite crowded during the day, the best thing you can do if you want to take nice pictures without other people around is to get there very early in the morning or right before closing time. Before to decide what to do, make sure you check out the Miyajima tide times. Otherwise you might be disappointed in seeing that the sea under the shrine has… completely vanished! The shrine and the torii gate are illuminated by yellow lights until 11:00pm. 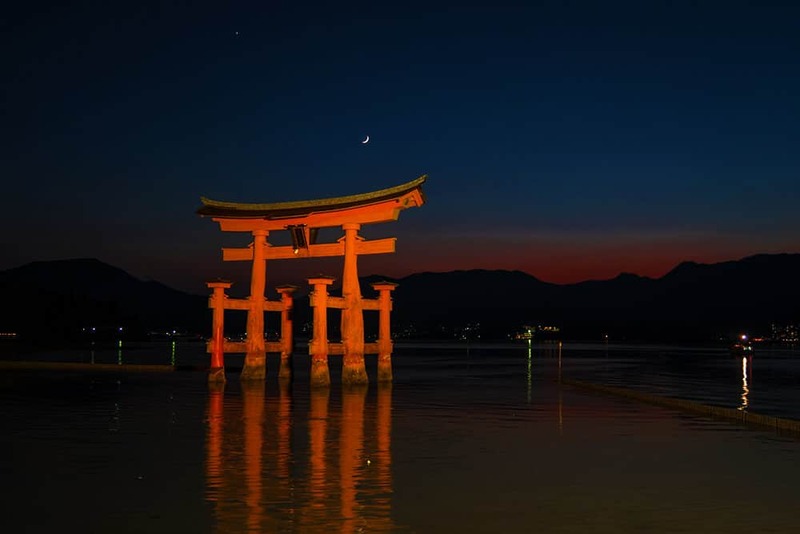 If you want to take a few pictures of the torii, be aware that you should find your perfect spot right after sunset. We had an early dinner and walked around to place our tripod. There were already several Japanese photographers doing the same thing and we spent a very nice evening chatting about photography and Japan. 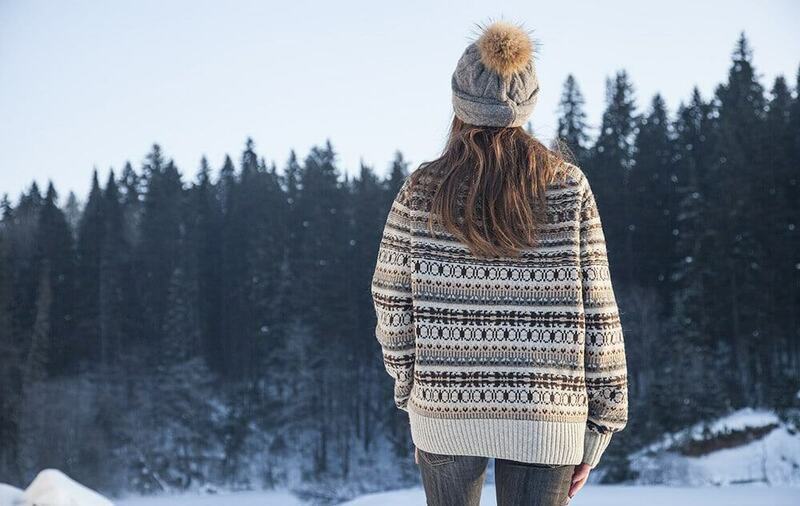 After all… getting to know the locals is what makes an unforgettable trip! Whether you’re looking for some cool souvenirs from Japan or just letting your nose guide you, there’s no way you can miss Omotesando street or Machiya street. These two streets are the always busy and lively, abuzz with vendors and tourists. They are definitely touristy, but to be honest… we didn’t mind at all! In the souvenir shops we spent a lot of time to examine all the amazing legendary samurai mini armor sets. We’re talking names like Hattori Hanzo, Toyotomi Hideyoshi, Date Masamune, Akechi Mitsuhide, Sanada Yukimura and many more. Being two history nerds didn’t help. We would’ve basically bought the whole shop to bring it home with us! But we also got the chance to find cute and unusual souvenirs so take some time to walk also inside the shops (sometimes window shopping is not the best thing to do) and leave some space in your luggage because we’re sure you’re not going to leave Miyajima empty-handed! Being Italians, we absolutely love food. If you are like us, you will definitely love to explore Omotesando and Machiya streets as there’s all the food you can think of. From oysters (Miyajima is famous for its delicious oysters) cooked in so many ways and sold as street food, to momiji-manju (steamed sweets shaped like a maple leaf and filled with custard, cheese or chocolate). There’s something for everyone, and you can wash it all down with a pint from the local microbrewery (sold next to the local Starbucks). If you’re visiting Japan with your kids, or if you like to see how food is made, there are plenty of shops where you can see (and film) how momiji-manju is prepared! One of the things people always try to do, whether it’s just a day trip to Miyajima or a longer stay, is hopping onto the Miyajima ropeway. 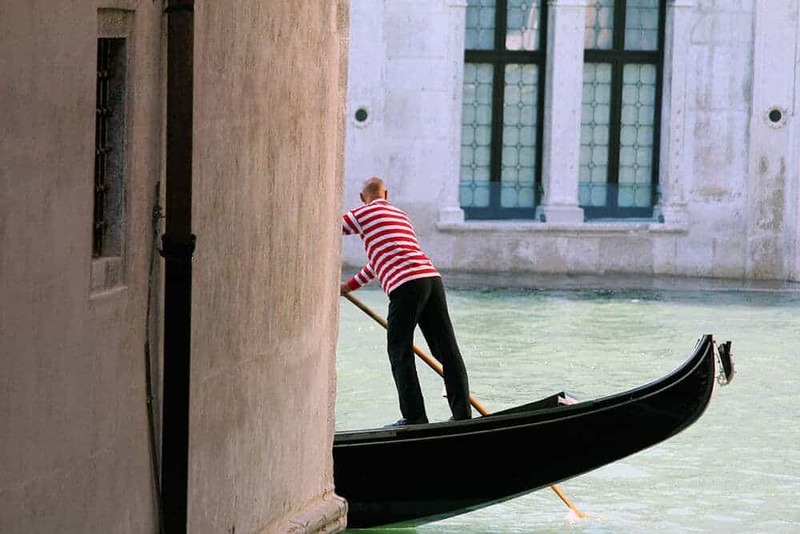 You get to enter a unique gondola (much different from the gondolas in Venice!) on Mt. Misen that will let you enjoy an “air walk“. This experience offers magnificent views of the Seto Inland Sea and Miyajima primeval forest, with a 360° panoramic view. There are two types of ropeways. The Circulating type, for long distance transport, only has about 1 minute intervals. The Funicular type is faster and has 15 minute intervals. Tickets will cost you 1800 yen for the round trip (900 yen for children), but be aware of the fact that service can be suspended in case of bad weather or maintenance. While you can bring your tripod with you, use of strollers or wheelchairs is not permitted. To make sure you can actually enjoy the ride without having to deal with too many people in your gondola (sometimes it’s difficult to take good pictures when there are too many occupants), make sure you get to the Miyajima ropeway as soon as you get to Miyajima. In case you have more time on the island, consider reaching the summit of Mt. Misen with the Miyajima ropeway and then hiking down on your own. You will be able to visit also a lot of hidden shrines and enjoy the forest! 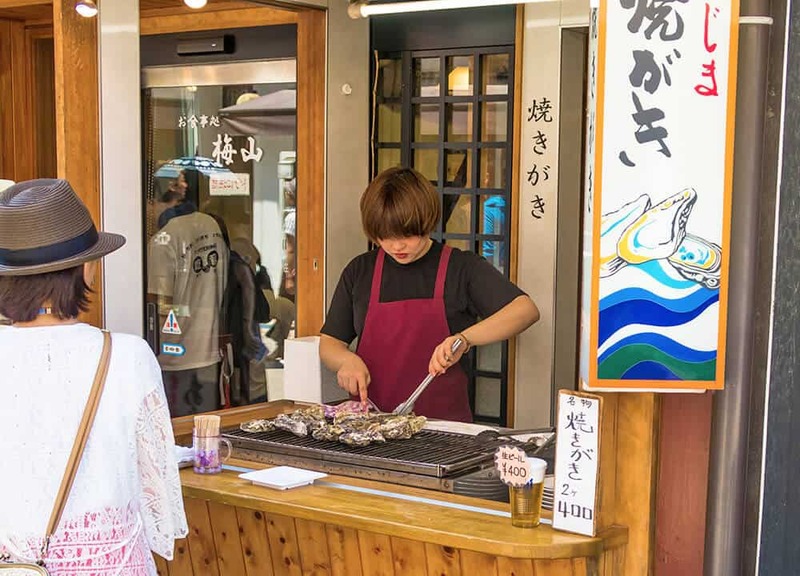 Two grilled oysters for 400 yen: that’s the street food of Miyajima! While walking to get the Miyajima ropeway you will pass through Momijidani Park. This is a great place to spend your time away from the crowds or to find some relief from the heat if you’re visiting Japan in summer. There’s a good chance of meeting squirrels and sika deer, quietly enjoying their day. They aren’t scared by humans but still… make sure to behave! If you like to take beautiful pictures when you travel, this park has a lot of nice photography spots. There’s a lovely red bridge half hidden by the trees and a small river. 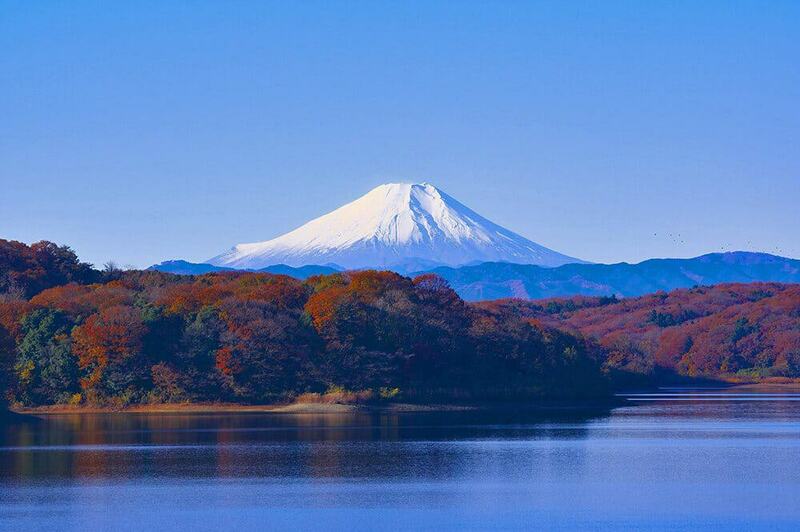 The best period to visit Momijidani Park is Autumn, because with the leaves changing colors, the warm palette seems to put the forest on fire. It will feel like hiking into a painting! How to take a picture like this at Itsukushima shrine? Visit as soon as they open or before they close! If you’re planning a Miyajima day trip and are worried that your kids will get bored by visiting only Itsukushima Shrine, consider adding the Miyajima Aquarium to your itinerary. It can be also a good option if it starts raining and you don’t want to get back to your ryokan. The aquarium is on 3 levels and you will need a good couple of hours to visit everything. You can get there with an easy walk from the Miyajima harbour. They have interactive sessions that involve children, so they get to hold penguins (in some specific sessions) or to talk to the friendly staff. Everyone smiles a lot and they are always willing to offer insights or to answer to every question you might have. There are only two downsides that I feel you must consider. The first is that tickets cost 1400 yen for adults and 700 yen for kids (they have a discount for young children and those under 4 years can enter for free) so if you’re traveling on a budget or with a large family it might not be a cheap visit. And the other one is that some of the tanks really looked pretty small for the animals. While they seemed well cared for, some of the spaces were just… tiny. Sometimes Miyajima felt a bit like stepping in a different era! Two more options for the rainy days or that you can enjoy if you decide to spend more time in Miyajima are the History Museum and the Okeiko Japan Miyajima. The Miyajima History and folk Museum is located inside an historical building and shows the history of Miyajima to the visitors who decide to walk away from the crowds to learn more about the island. The building itself is 160 years old and used to be the residence of a wealthy merchant. 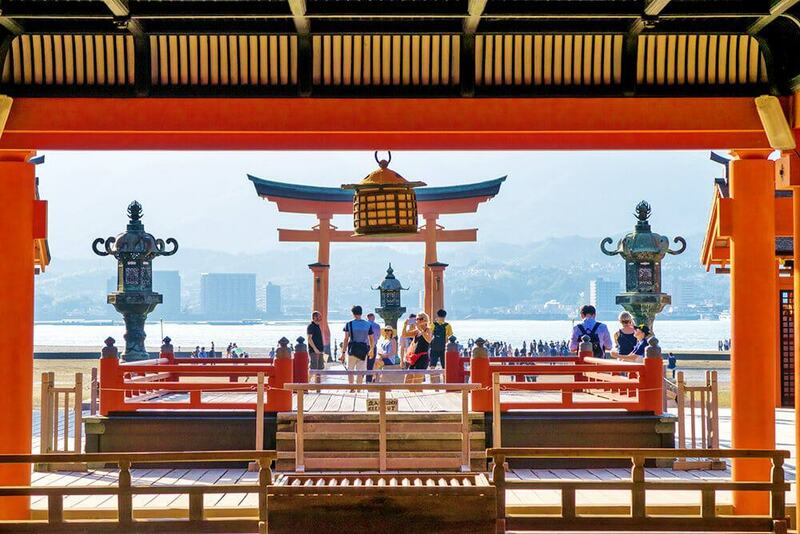 You will thus be able to see the preserved living quarters of the family, and many works of art and artifacts related to the Itsukushima shrine. From this museum you can access a traditional Japanese zen garden with a pond full of koi carps. There’s even food you can give them: yet another thing your kids will love! Located a short walk away from the exit of Itsukushima Shrine (15 minute walk from the ferry pier), it’s open from 09:00am to 05:00pm (last entry at 04:30pm). Tickets cost 300 yen. The museum is closed on Mondays and December 26-31. Unfortunately… taking a clear picture at Itsukushima shrine is not always possible! 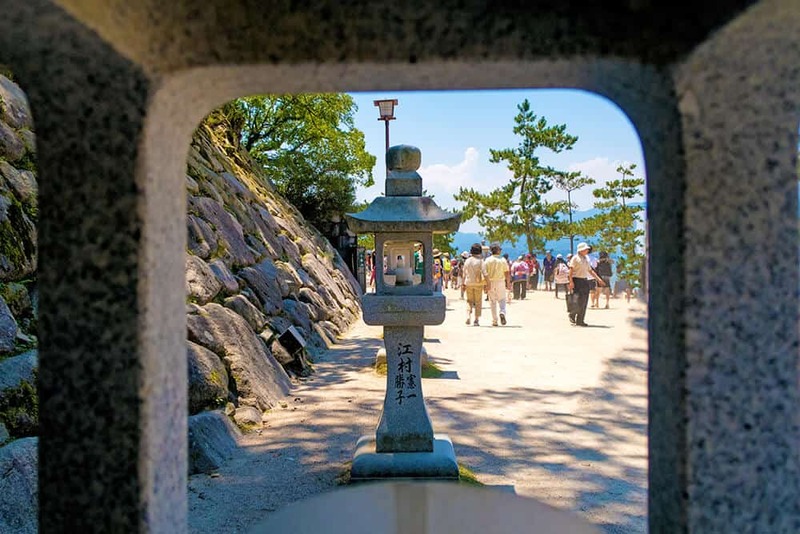 Among the amazing things to do in Miyajima island that not many people know about there’s a trip to Okeiko Japan. You can visit this place to learn about the Japanese ways, with different packages. 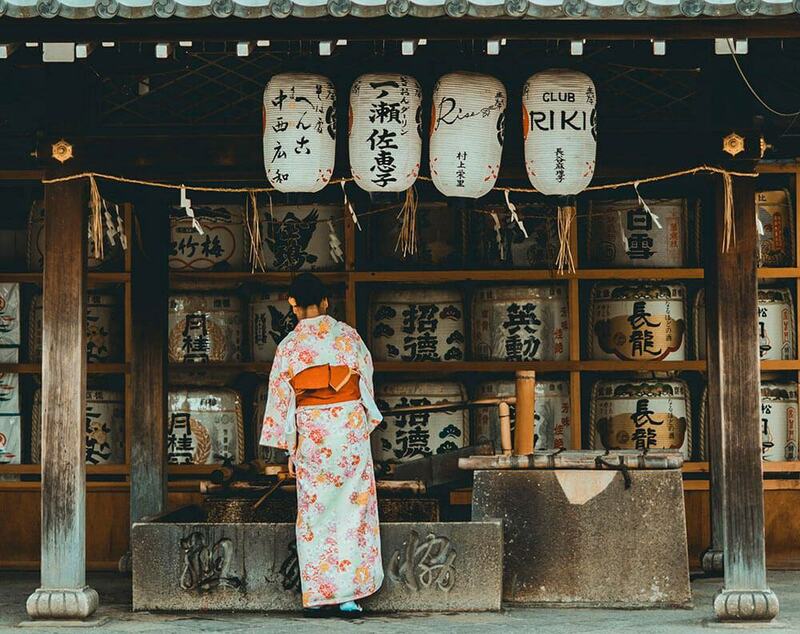 While in other parts of Japan you can wear a kimono just for the sake of it (or for the ‘gram! ), here they will let you wear one and explain to you every part of it, offering a lot of interesting historical information. There are experiences that include a tea ceremony (wearing a traditional kimono), a class of Japanese calligraphy, and you also get to learn how to properly cook a few Japanese dishes. By the end of the class you can eat what you’ve cooked with all the other participants. This is a great way to get to know new people, in fact so many solo travelers decide to book classes here because they get to learn, eat delicious food and meet interesting people from all over the world. Classes are held in Japanese and English, and start at 5000 yen. It is better to reserve your spot on their website as they sell out fast! If you decide to book with Okeiko Japan, consider spending at least a couple of hours here. Looking for a selfie in Miyajima? Just ask around! People are always willing to take pictures for you! While in Miyajima we have decided to lodge in a ryokan (please red the proper etiquette to stay in a ryokan). It is a type of traditional Japanese inn that usually features futon beds and tatami mats. We opted for Sakuraya because it is very close to the Miyajima harbor, a few steps away from the shopping streets and also near the Itsukushima shrine. They do have rooms with a view on the mountains or on the sea and price varies accordingly. To be honest, ours was possibly the biggest room we have found in Japan (where accommodations are tiny)! As you step inside, you will have to remove your shoes. Slippers are provided, of course, and there’s also a second set that you can use only when you go to the bathroom. The room is airy, large, with two comfortable futon beds, tatami mats, and a low table with pillows and everything you might need to prepare a good tea. Heck, we even found konpeito, a traditional Japanese (sugary) candy that the staff suggested we ate with our tea! Everyone has been truly amazing. Whether you want to ask for directions or for some restaurant tips, they will always be there to help you. We were given also a map of Miyajima where they wrote down all their favorite restaurants, with closing time and budget info! At the front desk, they always have all the most updated information about the Miyajima tide times, so you can go find a bench to see how the sea is retreating (or walk under the Miyajima torii!). 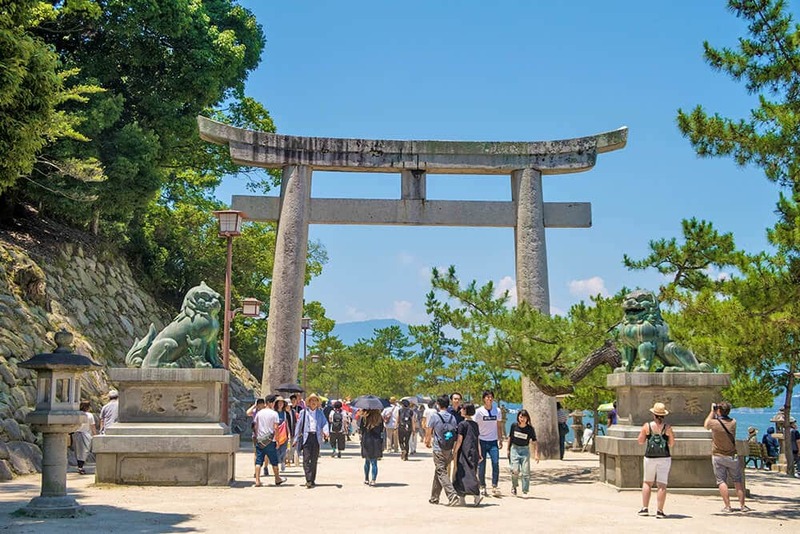 Also if you are planning to explore the island some more, before to hop on the Miyajima ferry, the staff can keep your luggage even after you’ve left your room. Just ask them, they are very happy to help! So what did I tell you? 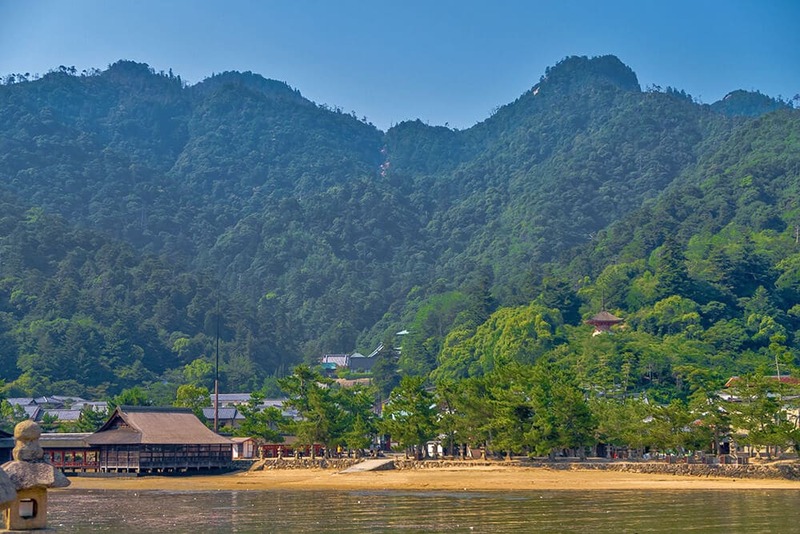 There are so many amazing things to do in Miyajima Island that you can’t miss! Let us know if you’ve tried some of these or if you’re planning a trip to Miyajima, we’d love to share info with you!